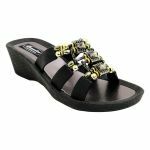 Feel fancy in the CELESTE wedge slide by Grandco. 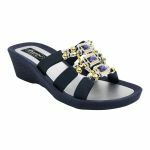 This esquisite jewelled wedge slide will glisten and sparkle in the sun. 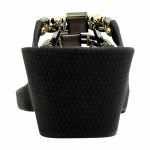 This sandal will look great dressed up with any outfit!